Oldman’itis = Better Gas Mileage? Earlier this year my lovely wife and I underwent major surgery (all she did was give me her kidney!) and during our initial recovery my Step-mom and Dad stayed at our house to help get us to the many follow up appointments that we had to go to since we weren’t allowed to drive. It was while riding with my Dad on one of those many trips that I noticed how relaxed he was when he drove. He would be driving exactly the speed limit with people blazing past us left and right and it didn’t phase him. Normally I would be one of those people blazing past us so I took note of this. It made me realize that as I’m driving like some kind of jerk who is in such a rush that there are great folks like my Dad that I’m getting pissed off at for driving so slow. Now that I am able to drive again I have noticed that I have slowed down considerably. I still don’t drive the speed limit but instead of averaging 10-15+ mph over the speed limit now I’m keeping it down to 5-7 mph over. I’m not sure if this is because of the impression I got while driving with my Dad or just “oldmanitis” but whatever the cause I think it’s saving me money. That is because one of the awesome things that I’ve noticed is how much mile MPG has improved since the transplant. 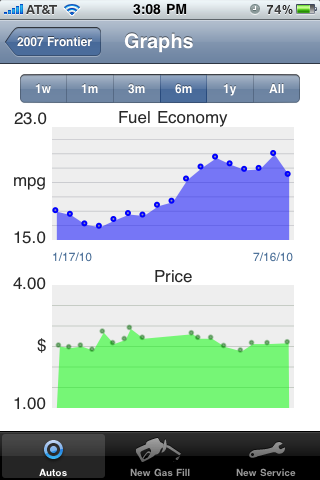 I used to get anywhere from 15-17 MPG on average but now I’m getting 19-21 MPG. I’m not sure if these same driving habits will remain in play when I finally get my new 300ZX but I would like to think so. It will be harder to stay off of the throttle I’m sure but the same concept should apply; there is no rush to get there usually it’s just work anyway so it’ll be there even if I’m late which shouldn’t happen anyway since another side effect of oldmanitis is getting up at 5 AM!